When I woke up from my first birth, battered and broken…it was a wake-up call for me about how I had gotten there. I had wanted my children to have a beautiful birth and I felt like I had failed them. But looking back after years of processing this, I understand that I got the birth that I felt that I deserved. I had always said that “my body hated me” and I know I had always hated my body. I didn’t trust it, I was ashamed of it, and I didn’t believe that it could be strong or healthy. My body was something that could be used and hurt and broken. I loved my babies, but I did not love myself. I listened to the nurses say negative things about me, and it was fine, because I believed they were true, I was used to being talked to that way. But the first time a nurse said something about my baby, I felt the power of the Mama Lion come into me and I found my voice and I roared and I stood up for my baby. And then it took years of practice, but I am learning to stand up for myself. Finding my voice. Stepping into my power. Some days it is terrifying, but I hold my ground…and even if today is not a day when I can take a step forward, I refuse to be pushed back into being that quiet girl who does what she is told and doesn’t feel that she matters. The more I thought about it, the more I realized that I never really believed in health…even though that was my major in school! I had mostly learned about how to prevent or cure diseases. But I had never met anyone who was just “healthy” and did not know that you could heal yourself. Once I had the vision of a strong, confident, healthy woman, I knew that becoming her was something that I needed to do for my family, for myself, for other women. I had no idea where to start, but I accepted the assignment, set off on the new journey, and committed to take each opportunity as it presented itself. So now I am showing up, saying “yes”, and doing the work. 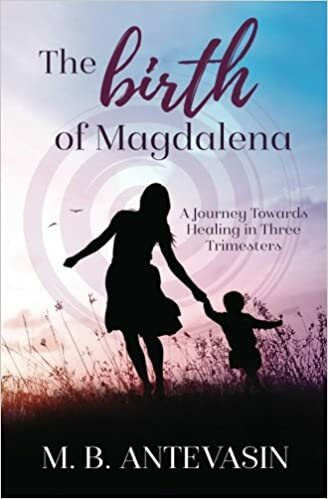 My book The Birth Of Magdalena is about all of those experiences that woke me up, shook me to my core, and showed me where I needed to heal. So I am glad that I wrote my story when I did, because once I flipped the switch and the light bulb turned on, there was no going back. Since then, my healing journey has taken a dramatic turn uphill with amazing and seemingly exponential growth. I am not that quiet, good girl anymore. I am glad that I wrote her story while she was still here, because I cannot even speak in that voice anymore, cannot see the world from that place. She is someone that I once knew and I send her love and compassion, but I will not be her anymore. Every day I am learning more about how to take care of myself, how to be more authentic, how to stand up for myself and my children and find the voice that was hushed…the voice of my great-grandmother, my grandmother, my mother and my former self. Thank you for sharing your voice. It is very important for woman to hear your story. It is equally important to heal from such trauma. What an absolutely beautiful post. So real, so raw, so lovely. Sending lots of love to you beautiful woman! !